The criticism levelled at Kell Brook in the wake of his 11th round KO defeat to Errol Spence is a stark reminder that boxing is and always has been a sport of extremes, wherein the very best and the very worst of human nature is exposed. Courage, respect, resilience, and skill is offset in boxing by cowardice, venality, brutality, and cruelty. Typically the former are expressed inside the ring on the part of the fighters, while the latter is the domain of the sport’s fans and spectators, many of whom take the opportunity, when watching a fight, to give expression to their own lack of achievements, happiness, or self respect by taking delight in misfortune to befall a given fighter whose only crime is to have dedicated his life to the hardest sport there is and achieve a level of fame, success, and admiration conversant with that dedication. Every fighter who climbs through the ropes immediately puts his health and life at risk. This is a truth well known, yet regardless far too many dismiss it, preferring to view those who do risk their lives in the name of sport as mere commodities, their humanity diminished, more machines than men. Kell Brook’s courage in taking a knee in the 11th round against Spence, rather than continue and risk permanent damage up to and including blindness, was exemplary, marking him out as a true champion and role model. The idea, the ludicrous idea, that he should have fought on to bring boxing into disrepute by turning it into a savage spectacle, this is an indictment of the intelligence and base instincts of his critics. 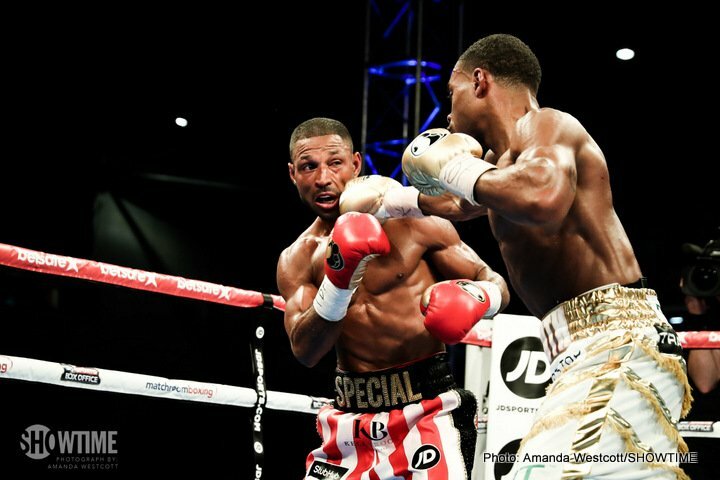 Brook gave his all against Spence, outboxing and outfighting the American for much of the fight, but in the end he is a human being, of bone and blood, and when one of those bones break and he can’t see are we seriously suggesting he should have risked permanent damage just to burnish his credentials as a ‘warrior’? Fellow professional and world cruiserweight champion Tony Bellew was particularly scathing of Brook for taking the knee when he did, accusing him of quitting in his role as pundit for Sky. This is particularly lamentable given Bellew’s status and clout in the sport after defeating an injured David Haye in dramatic fashion in his own previous fight. It is worth recalling that in the build-up to that contest most people – myself included – agreed wholeheartedly with Bellew in his criticisms of David Haye’s ugly rhetoric, pledging to put him in hospital and leave him unconscious. You can’t have it both ways Tony – you can’t slam Brook for refusing to allow himself to sustain permanent damage while lambasting Haye for promising to dole out permanent damage to you. Furthermore you make a point of continually reminding people that your priority when it comes to boxing is making sure that you get home safely to your wife and kids, and you are absolutely right to do so. But surely you also recognise and support the right of Kell Brook to make it home safely to his family after he fights? Perhaps the drama of the occasion took over and Tony Bellew’s judgement was temporarily clouded by emotion. Hopefully in the coming days, as the smoke clears, he realises that he was wrong to attack Kell Brook, a fellow professional and a fighter who has been a credit to the sport over many years. Perhaps, with this in mind, Tony Bellew will be big enough take back his words and apologise. Boxing is such a unique and compelling sport in that it walks a line between barbarism and nobility. Ensuring that it remains on the right side of this line is surely the most important priority of everyone who loves the sport. Kell Brook, in taking the knee when he did, ensured that he stayed on the right side of this line. As such, not only did he save himself, he saved the sport. Former IBF welterweight champion, Kell Brook, is a brave man. Next boxing news: Where should GGG-Canelo be held, and can the fight really pull in 3 million pay-per-view buys?